Those with a knack for ferreting out vintage treasures or a flare for primitive and vintage decorating will enjoy the treasures hidden in our antique stores. From pine furniture and tools to ‘shabby chic’ decor, there’s a ‘find’ for you. Discover a love of ‘upcycled’ furniture and decorative accents, collectibles, country crafts and folk art signage. 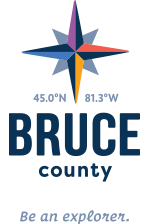 If life’s in the details, you’ll love hunting for them on the Bruce Peninsula. Those in the know head to the 2nd floor just above Much More Camping to the Upper Deck Mercantile Gallery for collectables, antiques, vintage home decor and funky finds. The Cluttered Cupboard is a renovated heritage building that houses a treasure trove of everything country including candles, kitchen wares, colonial lighting, linens, seasonal decor and home made carpentry.